This is one of the most offensive things a person can call me. Let’s think about “gamblers” for a second. 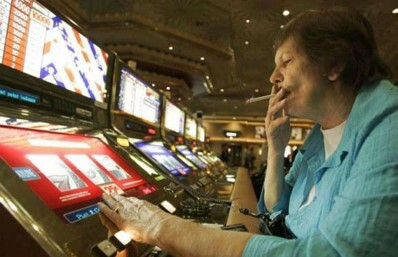 A little old lady, chain-smokes cigarettes as she wastes her retirement money one slot machine handle pull at a time. A man screams at a horse as it loses the race, throwing his tickets to the ground, he’s just lost more money than he can afford to lose. A freshman in college spends this week’s food money on a bet on the football team because, “they’re gonna crush this week.” These people are certainly “gamblers.” Whether it be a guaranteed loser over time, spending too much money or betting with little thought or research each of they are engaging in behavior that can be dangerous. These are the people that I’m lumped in with when someone calls me a “gambler.” It makes my skin crawl. There exists a belief among the public that it’s impossible to make money “gambling” on sports. This is correct. Without a systematic strategy, consistent research and careful money management you will not make any money wagering on sports. In fact, I’d go as far to say that you will not make money doing anything without those 3 things. What’s incorrect is the claim that someone cannot be profitable, long term wagering on sports. With a systematic strategy, consistent research and careful money management it’s possible to make money betting on sports. If you’ve spent enough time on gambling twitter hopefully you’ve been lucky enough to find a man. His name changes, but he’s a dual Ph.D. That’s right. He has doctorates in TWO fields, English & math. He is smart, overwhelmingly so at times. His clientele are treated to pricelessly prescient puck picks and thoroughly tested, terrific tennis tips earning them returns regularly. As good as this sounds, he doesn’t really care about that. He is so focused on his process that what he tracks is his ability to beat the market. For those who know who I’m talking about you already know about closing line value. 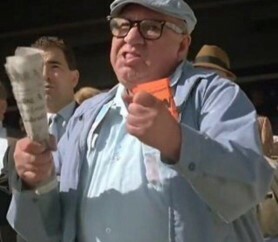 For those that do not, let’s take a not so deep dive into the holy grail of sports wagering, closing line value. Let’s think about a normal week in the NFL. Lines come out on Sunday night and all week they move around until kickoff the following Sunday. For example, the West Woodlake Whales open as -150 (or 1,67 for those outside of the US) favorites over the Deptford Dolphins on Sunday night. Bets and money fly around all week and West Woodlake Whales are -200 (1,50) come kickoff Sunday afternoon. If you were smart enough to grab the -150 early in the week you got a much better price than someone who got the closing line of -200. The bettor who got -150 only needs to win 60% of the time to break even long term. The bettor who got -200 needs to win 66.67% of the time to break even. The aforementioned dual doctorate would drool over this 6.67% closing line value in such a liquid market as the NFL. The aforementioned “gamblers” do not understand, let alone consider all the things in the previous paragraph. Anyone who chooses to pump money into slot machines for hours on end either have no idea it’s a losing proposition over time or happily accept that reality for the entertainment value. If you’re trying strike it rich with one big bet on the ponies you are putting yourself in a precarious position or maybe you can afford the loss and love the adrenaline rush. A bet on your team can make the game more enjoyable, but it’s almost always a dumb idea without a systematic strategy, consistent research and careful money management. “Gamblers” can choose to do whatever they want with their money for whatever reason they deem reasonable, but I hope they do it carefully. If you are reading this I’m sure you know the Whalefather himself, the founder of this very website and a friend I’m incredibly lucky to have made, our beloved Whale Capper. You’ve heard the Deep Dive podcast with Andy where two people who must spend every waking, free hour thinking about football breakdown the key angles of all the NFL match-ups every week for the entire season. His tennis models during masters & grand slams are a crucial resource for anyone placing a tennis wager. During his free time, he tracks the schedule of every NBA team to see how fatigued each team should be based on their recently played games. If he could advise you to do anything, I would bet he would tell you to sell points for better odds. For example, if you like an NBA team -5.0 points at -110(1,90), but you can also bet them -6.0 points at even odds (2,00) you should always take the -6.0. Over the long term, you’ll save a lot of money in lost juice. Although the -5.0 feels safer, if you bet throughout the entire season the 6.0 will cover enough times at a better price to make up for any close losses. “Gamblers” do not do things like this. They do the opposite of this. They’d take the -5.0 at -110 at he more expensive price and might go so far as to sell a point to bet -4.0 -120 (1,83) which is always a bad idea. I am not a “gambler,” the dual doctorate is not a “gambler,” Whale Capper is not a “gambler” and you don’t have to be a “gambler” either. 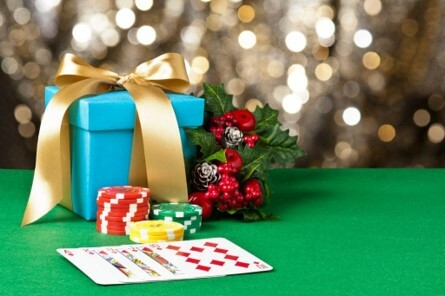 Now sometimes, it’s fun to be a “gambler.” Maybe you’re with a bachelor party at a roulette table enjoying free drinks as you trade money back and forth with the casino until you make a big move on black after red has hit 5 times in a row and red comes up a 6th time. Hopefully you were there for a while, got a few drinks and enjoyed yourself, but that money was most likely gone before you approached the wheel. Over the long haul, you will always lose money betting on a roulette wheel. You get 35/1 odds on an individual number, but counting 0 and 00 there are actually 37 possible numbers that can hit. Red and black are offered at 1/1 odds, but the 0 and 00 are green so less than 50% of the numbers are red and less than 50% of the numbers are black. The math doesn’t work. I have a tennis model that looks at every match for the last 2 years. I have matches that go back 10, even 15 years but that’s too far back to be relevant. The model helps me quantify the chance of one player beating another player based on historical performance. Thanks to the folks at tennisabstract.com, I can easily pull up each match every played by player A and player B. Based on the head to head I adjust my model and generate a % chance each player wins the match. If I think player A has an 65% to win and the price is -120 (1,83), a 54.5% implied probability, then I place a wager on player A. Over the long term, betting on things that should happen 65% of the time at a 54.5% price will be profitable. You must have a systematic strategy, consistent research and careful money management and even after all that this is still very difficult. It takes a lot of time, practice and luck. Not a lucky bounce in a basketball game or a lucky deflection in hockey game, but to be lucky enough to understand the concepts of implied probability, to find other people who can help you learn more about your sport of choice and the patience and diligence to track your results and test your strategy. The dual doctorate, Whale Capper, and myself are lucky enough to have a lot of skills from our everyday lives & jobs that we can use and a community of friends that keep us up to date on the latest news and strategies. On top of all that, we have a passion for sports wagering and most importantly doing it profitably.